Blazin’ Aces is all about dofighting in retro-style visuals. 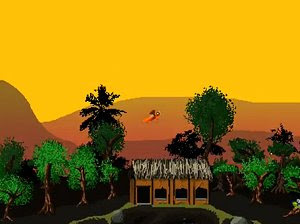 The gameplay seems to jump straight from old PC and Amiga computers or even some arcade machines, offering immediate fun and exciting plane combat. There are a few game modes to extend the core concept of the game and 4 different scenarios, as well as several airplanes. The campaign mode will keep players invested in the dogfights, and the easy controls are something for the developer to be proud of. A skirmish mode offers some more fun in this free PC game.